Aqua Pool & Patio is New England's foremost expert on Gunite Inground Swimming Pools. We specialize in designing and building gunite swimming pools as well as incorporating the most innovative swimming pool technology available today. Whether you’ve already decided to have a new pool added to your backyard or are just beginning to consider one, give us call and arrange an appointment with one of our pool designers. We can start planning your pool immediately or simply spend time answering any questions that can help you finalize your plans. You’ll find our no-pressure approach refreshing…almost as refreshing as a new pool. Having Aqua Pool & Patio design and install your pool ensures a stress-free process that ends with an expertly designed and beautifully installed backyard oasis. 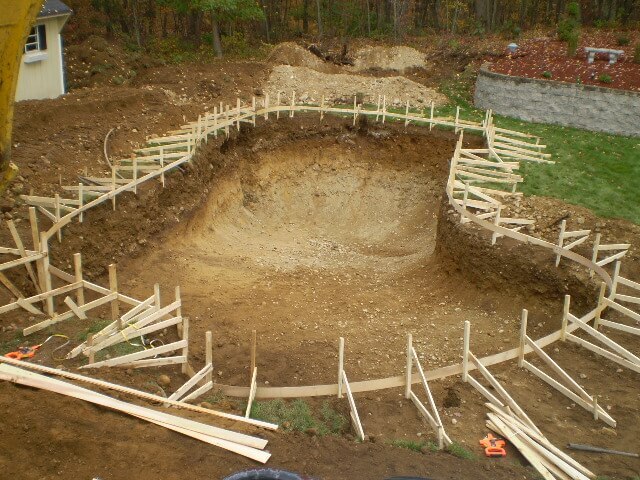 Because we’ve been designing and installing swimming pools in Connecticut, Rhode Island and Massachusetts since 1970, you’ll find we offer uncompromising quality and customer service through each stage of the pool design and construction process. 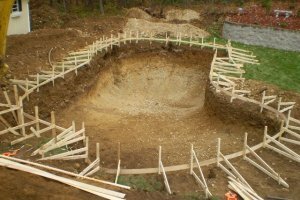 Because we have so much experience with both in-ground pools in CT, MA and RI as well as above-ground pool installation, we also know what permits need to be pulled and when, and exactly when to schedule the additional service professionals needed to complete your pool, on time and on budget. 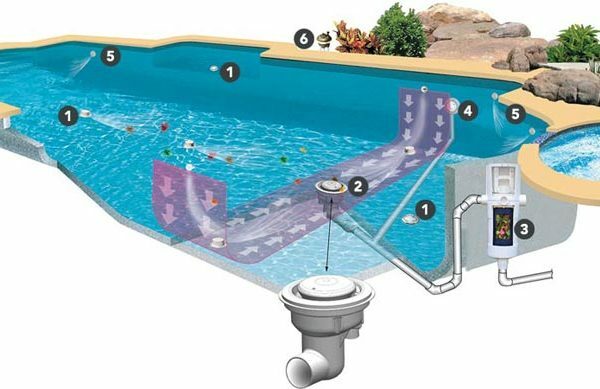 Run a systems check to ensure that your pool is operating perfectly. Ready to get started on the swimming pool of your dreams? Please call us at 860-623-9886, or email us at info@aquapool.com, to arrange a design consultation. Built right into the pool shell PV-R is engineered to clean your entire pool, including floors, steps, benches, even spas. When not operating, PV-R disappears back into the pool floor, making it virtually invisible. There are no vacuum hoses left floating in the pool. All that’s left is a sparkling clean pool that’s ready to enjoy. PV-R is custom-designed for your unique pool shape. It is so effective that it will clean 99% of your entire pool, guaranteed, as well as significantly reduce heating and chemical costs for the life of your pool. Rotating pop-up cleaning jets are placed in floors, walls, steps, benched and even spas to clean the entire pool. These cleaning jets work together to sweep debris toward the patented debris collection zone. The MDX-R3 VGB compliant safety drain continually collects large debris directed to it from the patented debris collection zone and delivers it to the debris containment canister. The debris containment canister works in conjunction with MDX-R3 drain, it holds large debris for easy deck side removal. Additional safety is achieved with the MVFUSE magnetic vacuum release systems (SVRS). The SDX VGB high flow safety drain works together with the MDX-R3 to offer an additional layer of anti-entrapment protection. SDX also handles additional suction requirements. The strategically placed downjet wall returns, help to clean the deep end area walls and slopes enhancing the system’s cleaning and circulation. The automatic watervalve functions as the brain if the system and direct a powerful flow of water to each set of cleaning jets. The watervalve requires no routine maintenance, and is also 100% pressure safe.